This week on Fieldstone Common our featured guest is John Grenham, the author of the book Tracing Your Irish Ancestors. 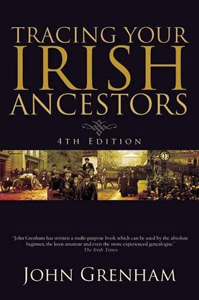 The Northeast has the highest concentration of Irish ancestry in the United States and with the help of John and his book we are going to get you started digging into your past. John Grenham writes the ‘Irish Roots’ column in The Irish Times and runs the Irish Times Irish Ancestors website. He is a fellow of The Irish Genealogical Research Society and The Genealogical Society of Ireland. John came to professional genealogy in 1981, as one of the panel of researchers in the Office of the Chief Herald of Ireland. 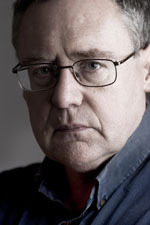 As in-house researcher for that Office in 1990-91, he was instrumental in setting up the Consultation Service, the forerunner of the current Genealogical Advisory Services in the National Library and National Archives and was a founder member of The Association of Professional Genealogists in Ireland in 1986. Among his publications are Clans and Families of Ireland (1995), Generations (1996), ‘The Genealogical Office and its Records’ in The Genealogical Office (1999), Grenham’s Irish Recordfinder (CD-ROM) (1995-2006), Grenham’s Irish Surnames (CD-ROM, 2003) and numerous articles and columns in the UK magazine Your Family Tree. His website is www.johngrenham.com. This new 4th edition of Tracing Your Irish Ancestors retains the familiar structure of previous editions but is now more useful than ever. Combining the key features of a textbook and a reference book, it describes the various steps in the research process while at the same time providing an indispensable body of source materials for immediate use. Along with its step-by-step instructions in the location and use of traditional genealogical records, its discussion of civil records of birth, marriage, and death, as well as land records and wills, and list of Roman Catholic parish records and source lists, all expanded, updated, and indexed. Trade Paperback; 577 pages with a bibliography, an index, and some maps and illustrations. Tracing Your Irish Ancestors is available for purchase from Amazon.com and other booksellers. In this interview John Grenham and I get into a discussion of Irish immigration to America from what caused the immigration to what happened after the Irish arrived. And of course we talk about genealogy, providing tips for those just getting started researching their Irish ancestry. John will be coming to the United States in August for the Celtic Connections conference and in September for the IFEST event (see links below). This broadcast is packed with history, genealogy and great information! One copy of Tracing Your Irish Ancestors is given out to the Fieldstone Common audience courtesy of The Genealogical Publishing Company. Congratulations to our winner and thanks to The Genealogical Publishing Company for their generosity in donating the book! 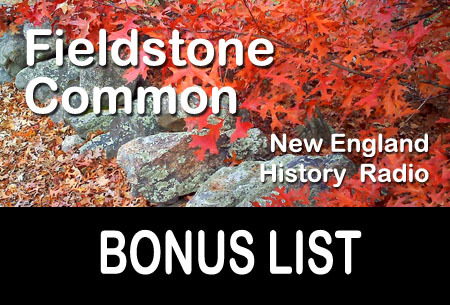 Question: What’s that’s new stuff in the Fieldstone Common title (FC 91)? Answer: That makes it easier, especially for iTunes and other podcast listeners, to keep track of which episode they are listening to. FC stands for Fieldstone Common and 91 is the number of the episode.